The Husky 18 in. 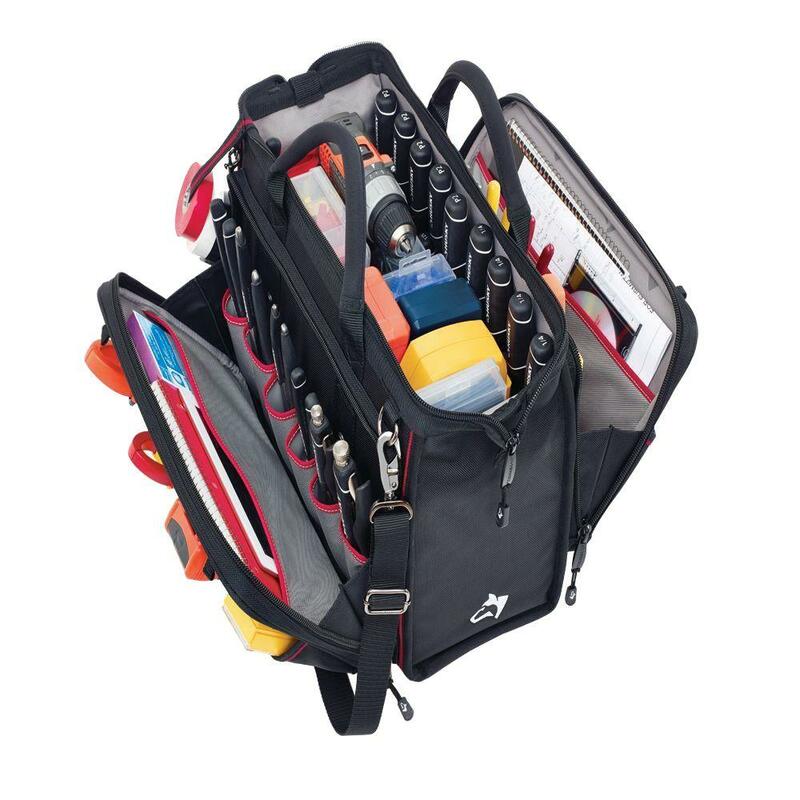 Total Tech Bag offers a Dual-Zippered Top for Closed Storage and a Patented Driver Wall with 31 Slots for Fast and Easy Tool Access. This item also offers Soft Grip Handles, so the customer can load this tool bag and carry his tools with comfort. The 18 in. Total Tech Bag also offers 2 Exterior Zippered Side Pockets that open to a 45-degree angle for easier access to contents.